Wood panelling first started to appear around the 15th Century. 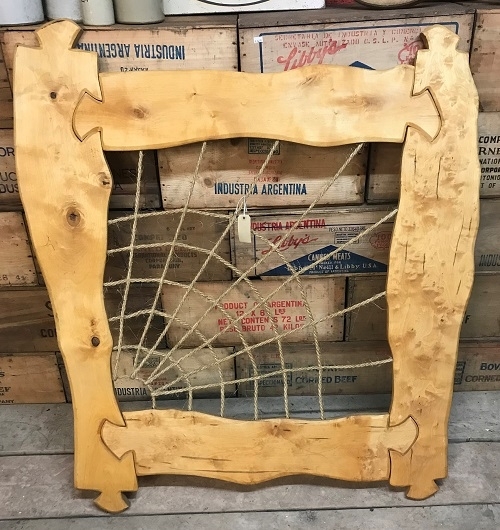 At this time it was known as wainscotting, and the wood panels, primarily of oak, served to make the interior of old stone buildings more comfortable, providing insulation and decoration to otherwise stark stone walls. Early panelling is invariably made of oak, but in the 17th and 18th centuries, deal and pine were also commonly used. 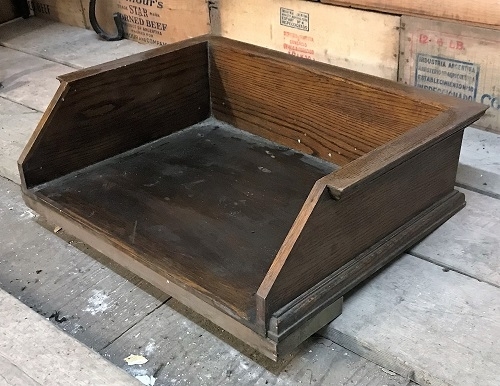 The panelling was often painted or limewashed, the cheaper softwoods were also sometimes given a painted woodgrain finish to resemble more expensive oak. Early panelling typically incorporated sections of carved wood, especially linenfold patterns and geometric shapes, often diamond in form.Some of the most beautiful panelling comes from France, 17th and 18th Centuries, known as Boiserie. This panelling is usually very elegant and is often painted and gilded. Wood panelling has continued to be popular into the 20th Century, the Edwardians were very fond of having panelled billiards rooms and studies. 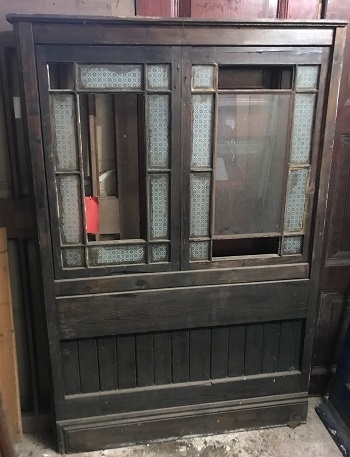 English Salvage usually has a good selection of reclaimed panelling in oak, mahogany and softwoods, both British and Continental. Wood panelling is especially popular with designers for shop fittings, restaurants and bars, to create a traditional ambience, or to clad bar fronts or create dividers. 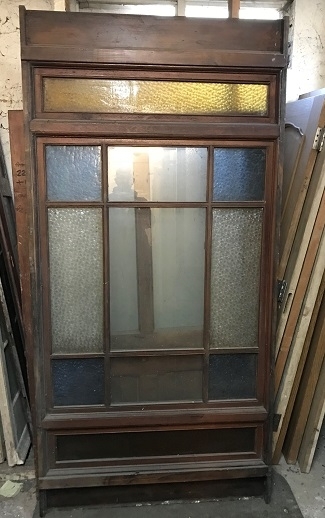 Glazed screens, mostly 19th and 18th Century, are also used to create dividers in shops and bars, where transmission of light is important, these often incorporate sections of stained glass.